To get the chart use anychart#radar method. Chart can contain any number of series. Each series is interactive, you can customize click and hover behavior and other params. xGrid() Grid settings by X-scale. xMinorGrid() Minor grid settings by X-scale. yGrid() Grid settings by Y-scale. yMinorGrid() Minor grid settings by X-scale. getSeries() Gets series by index. getPlotBounds() Getter for the data bounds of the plot. getSeriesAt() Gets the series by its index. If you want to enable accessibility you need to turn it on using anychart.charts.Radar#a11y method. anychart.charts.Radar - Self instance for method chaining. Array.<anychart.core.radar.series.Base> - Array of created series. data anychart.data.View | anychart.data.Set | Array Data for the series. anychart.core.radar.series.Area - An instance of the created series. data anychart.data.Set | anychart.data.DataSettings | Array Data for the chart. Getter for the default radar series type. anychart.enums.RadarSeriesType | string - Default series type. Setter for the radar default series type. type anychart.enums.RadarSeriesType | string Default series type. Getter for the data bounds of the plot. id number | string Id of the series. anychart.core.radar.series.Base - An instance of the created series. Gets the series by its index. string - The chart type. Converts the global coordinates to local coordinates. Note: Works only after anychart.charts.Radar#draw is called. anychart.palettes.HatchFills - Hatch fill palette settings. settings Array.<anychart.graphics.vector.HatchFill.HatchFillType> | Object | anychart.palettes.HatchFills Hatch fill palette settings to set. number | string - Inner radius. Setter for the inner radius in pixels or percent of main radius. radius number | string Value to set. Getter for the interactivity settings. Setter for the interactivity settings. anychart.core.radar.series.Line - An instance of the created series. Converts the local coordinates to global coordinates. Note: Works only after anychart.charts.Radar#draw is called. anychart.core.radar.series.Marker - An instance of the created series. settings anychart.palettes.Markers | Object | Array.<(anychart.enums.MarkerType|string)> Marker palette to set. Getter for series colors palette. anychart.palettes.RangeColors | anychart.palettes.DistinctColors - Series colors palette. Setter for series colors palette. settings anychart.palettes.RangeColors | anychart.palettes.DistinctColors | Object | Array.<string> Palette to set. Getter for the chart start angle. string | number - The chart start angle. Setter for the chart start angle. Starts select marquee drawing. Note: Works only after anychart.charts.Radar#draw is called. anychart.core.axes.Radar - Axis instance by index. You can't use multiple axes for a radar chart. index number Chart grid index. If not set - creates a new instance and adds it to the end of grids array. anychart.core.grids.Radar - Axis instance by index. 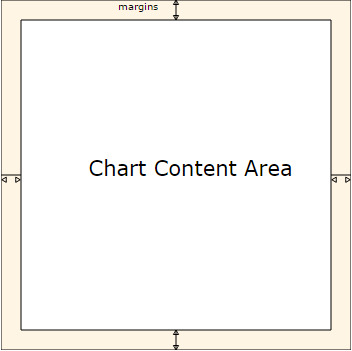 null/boolean - disable or enable chart grid. 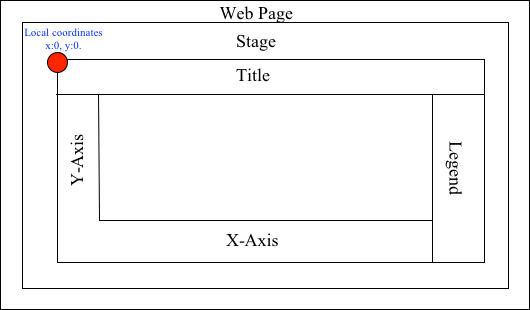 object - sets chart grid settings. Setter for the chart grid by index. null/boolean - disable or enable chart grid by index. object - sets chart grid by index settings. index number Chart grid index. settings Object | boolean | null Chart grid settings to set. The minor grid by X scale on the ordinal axis is drawn as a major. Generally speaking such construction has no practical application. 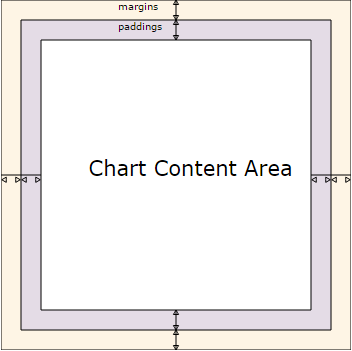 object - sets chart minor grid by index settings. Getter for the chart X scale. Setter for the chart X scale. Note: This scale is passed to all scale dependent chart elements if they don't have their own scales. Getter for the chart Y scale. Setter for the chart Y scale.